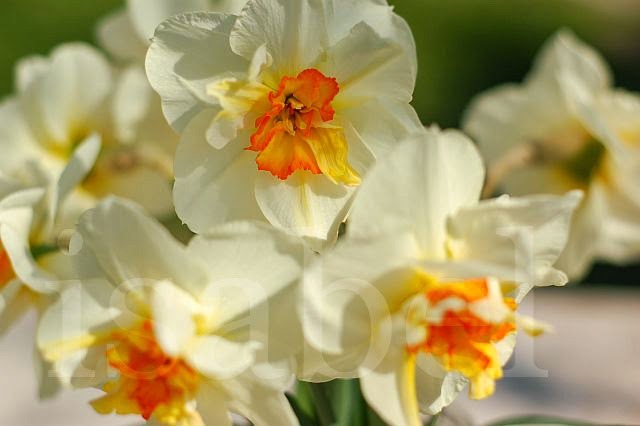 It doesn't feel like spring yet, but it's definitely on its way. Some trees already have new buds, fruit trees are flowering, and soon we'll have the season's first wild asparagus growing in the woods. With spring (and asparagus!) come thoughts of food and Istria's many food festivals. I've compiled a list of some of the most notable that happen throughout the year and celebrate a certain food or gastronomic speciality Istria is known for. This list is only my subjective selection and is not exhaustive: there are many many events like this all year long. The best place to find information on events happening in Istria is on the Istria Tourist Office website. This festival celebrates all the edible plants that can be found growing in the wild in Istria's forests and countryside at this time of year. Many of these plants were eaten in times past but may no longer be part of local cuisine. Visitors can sample a variety of dishes specially prepared using these wild plants or buy seasonal foods and products from local vendors. Wild asparagus is one of Istria's highly prized seasonal specialities that finds itself on the menu of every restaurant come spring. The plant's long thin shoots grow abundantly in dense forests and is much appreciated for its sharp, slightly bitter taste – an indication of its nutritional properties. 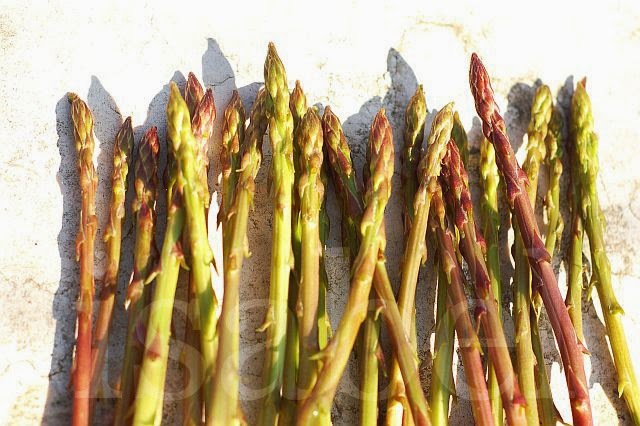 The name of the asparagus festival, Šparogada, takes its name from the Croatian word for this springtime vegetable: šparoge. Taking place over three days, visitors can sample a variety of dishes prepared with the wild plant and even go on an asparagus hunt – the person who finds the longest asparagus shoot wins a prize! This annual international wine exhibition will celebrate its 25th year in 2018. Wine connoisseurs flock here to sample the many high-quality wines produced in the Istrian region and beyond. The three-day event includes wine tastings, presentations, and a competition awarding prizes to the region's best wines. 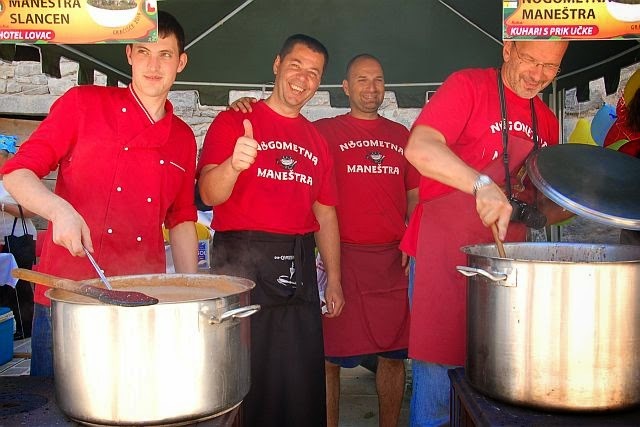 Taking place right here in the village, this annual festival celebrates maneštra, a typical Istrian soup-like dish that's very similar to Italian minestrone. Local chefs cook up different varieties of this hearty soup of vegetables, grains and pulses on wood-fired stoves set up on the village square which visitors can then sample and vote for their favourite. In addition to the public's favourite maneštra, a jury awards prizes to those they judge to be the best. 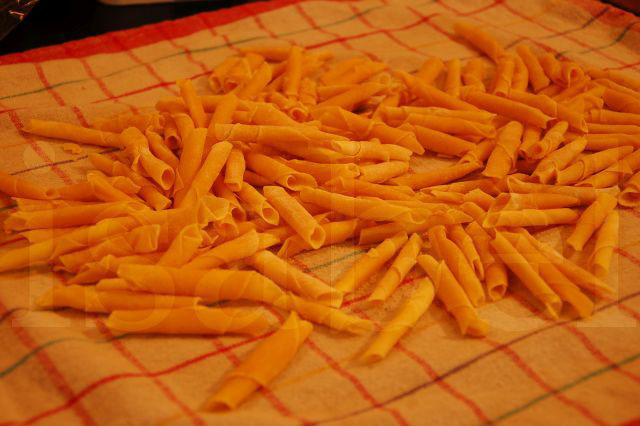 Fresh homemade pasta is a staple of Istrian cuisine. During this festival, celebrity chefs prepare innovative pasta dishes at live cooking shows, which can then be sampled and paired with a local wine. Cooking demonstrations offer the chance to learn how to make the different types of fresh pasta traditionally prepared here that take the form of different shapes, like fuži, njoki and pljukanci. There are plenty of other local specialities for sale here, including olive oil, gourmet cheeses, honey and other locally made products. Autumn is the height of the truffle season and during this time there's a string of fairs and festivals celebrating this highly-prized tuber. Starting in September and continuing until the beginning of November, these truffle-focused events are centred around the towns of Motovun, Livade and Buzet. There are plenty of opportunities to sample both black and white truffles prepared with different dishes, and witness cooking demonstrations. There are even demonstrations of truffle-hunting: only specially trained dogs can sniff out and dig up this expensive gourmet food. During the annual Subotina Festival (8 September 2018) on Trg Fontana in the centre of Buzet's old town, a giant omelette is prepared in a huge pan with over 2000 eggs (this year 2018 eggs will be used) and 10 kg of truffles. On 20 October 2018, Motovun's Andrea Antico Square will be the setting TeTa: Teran and Truffle Festival, a one-day exhibition and tasting event featuring local Teran wine and truffles. Other truffle events happen in Livade: Tuberfest on October 20th and 21st, and Dani Zigante Tartufa from 15 to 18 November 2018, while another event in Buzet is the annual Truffle Weekend on the 3rd and 4th of November 2108. 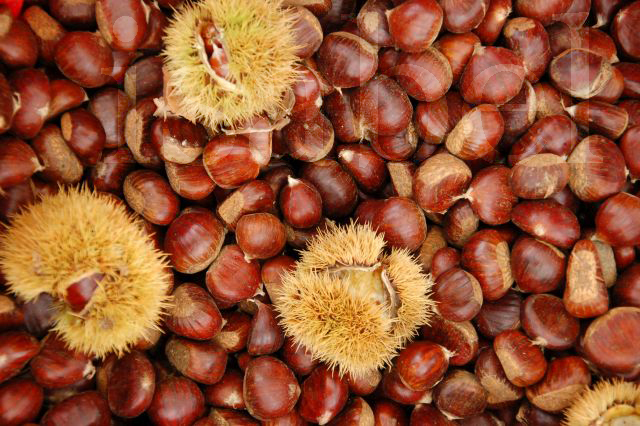 October is when chestnut trees provide their autumn fruit and naturally there's also a festival dedicated to the humble chestnut. At the Chestnut Fair in Oprtalj there are all kinds of specialities to be sampled: not only roasted chestnuts but also breads, cakes, sweets and desserts prepared with chestnuts, and other delicacies like chestnut honey. These can all be downed with the new wine of the season provided by local producers. 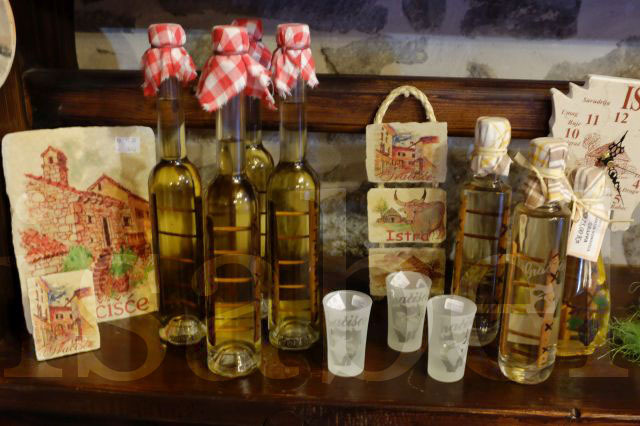 No visit to Istria is complete without a taste of its homemade rakija (grappa or brandy). The Istrian Grappa Festival will be in its 18th year in 2018, held in the tiny charming town of Hum, known as the smallest town in the world. Here a huge variety of homemade brandies can be sampled and bought, prepared with different types of herbs, nuts, fruits, honey and plants like mistletoe. The city of Vodnjan in southern Istria is one of the centres of olive oil production in the region, and home to several award-winning producers. At this annual festival, visitors can taste the new olive oil of the season and meet local producers while chefs whip up dishes paired with newly-pressed oil prepared with different local olive varieties. Stay informed about updates to this blog by signing up for email updates here. You will receive a confirmation message - don't forget to click on the link to confirm your subscription! Lovely post - thank you for the advance information - some excellent reasons to visit Istria! Thanks for stopping by! I hope you get the chance to visit one of these festivals.